It’s Friday October 5th 2018 and Rebecca and tom wanted a Rolls Royce Wedding Car in St Helens and also a bridesmaids car. 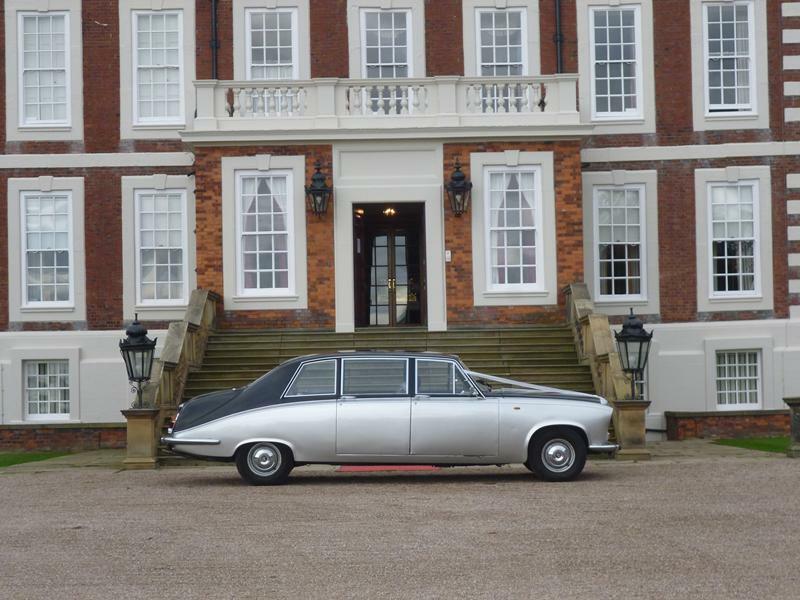 We had the pleasure of sending our Rolls Royce Silver Cloud wedding car as well as our Daimler DS 420 limousine which will seat up to seven passengers. Perfect for bridesmaids. We arrived in St Helens rather early but like they say “Better early than late”. As the pickup time approached it was nice to see the bridesmaids all coming out on time and looking great. When the Daimler left it was time for today’s bride, Rebecca and her father to get aboard our 1956 Rolls Royce Silver Cloud wedding car. The wedding itself was to take place at one of our favourite wedding destination’s in the ST Helens area, the fantastic Knowsley Hall. 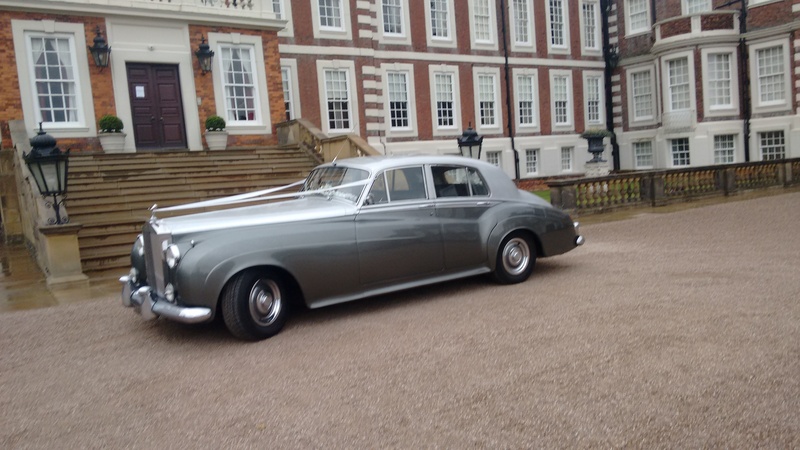 It’s always a pleasure to be part of any wedding here at Knowsley hall but even more so for today’s wedding as we were also provided our Rolls Royce Silver Cloud and Daimler wedding cars for Rebecca’s sister, Stephanie four years ago. When the ceremony had finished we had been asked to take Rebecca and Tom for a short drive so they could have a few minutes together before the wedding breakfast began. It was our pleasure, ten to fifteen minutes driving around the outskirts of St Helens was perfect for relaxing. 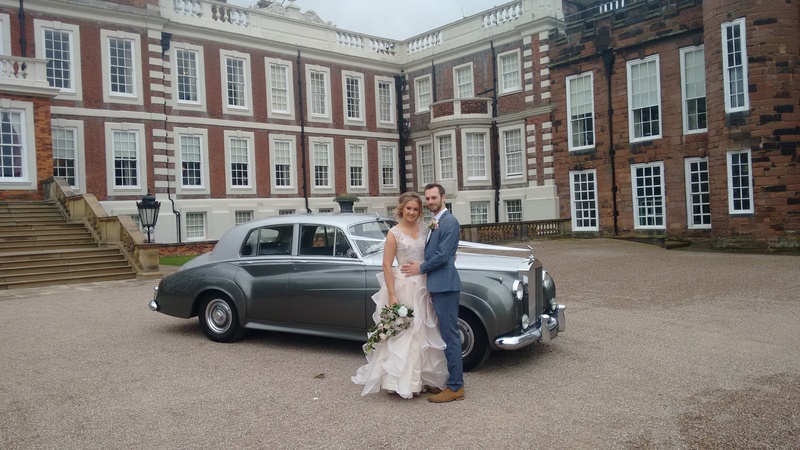 Once we arrived back at Knowsley hall the happy couple had time for some photographs with our 1956 Rolls Royce Silver Cloud wedding car before we made the short trip back to our base in Wigan. Wedding venue. Knowsley Hall, St Helens. Many congratulations to both Rebecca and Tom from all the staff at Elegance Wedding Car Hire and thank you for your booking.